These statistics are generated based on the current listing's property type and located in SW Royal Oak. Average values are derived using median calculations. OPEN HOUSE CANCELLED! Located in one of Victoria's most central locations. This beautiful like new, 3 bed, 2 bath townhome offers high quality finishing at an affordable price. This unit boasts over 1,700 sqft of living space featuring open concept living/dining/kitchen with 1 bed & bath on main. Upstairs you will find the master bed with WIC, beautiful en-suite bath, 3rd bed & laundry. Add'l highlights: garage, new ext paint, gorgeous wood floors, skylights, cozy fireplace, central vac, fire sprinklers, pot lighting, ample closets, interlocking brick & 2 parking spots. The kitchen feats: granite counters, SS appliances, tile back splash & generous cupboard space. Entertain on the back patio & enjoy the sizable yard w/ pear & apple trees. You won’t find a more convenient location. 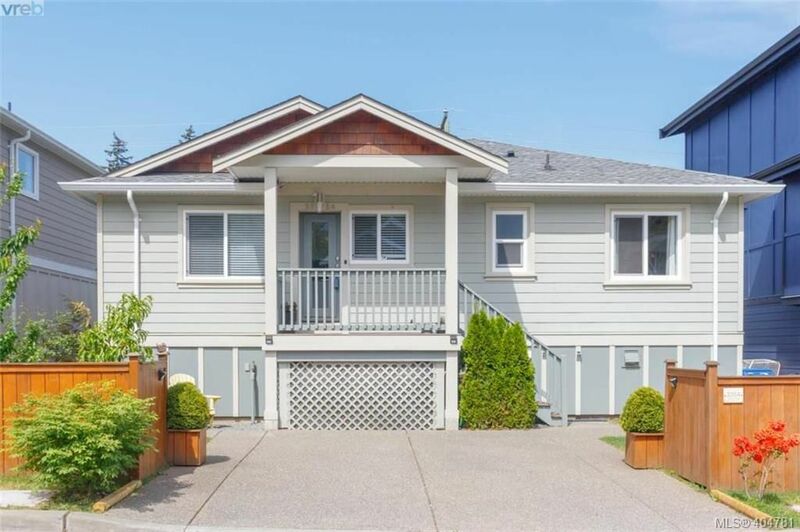 Close to Royal Oak & Broadmead Shopping, SIDES, Schools, Royal Oak Bus Exchange, Camosun College, Commonwealth Pool, Elk & Beaver lake(s), PISE and VI Tech. Kids, pets & rentals welcome!